A Year of Being Here: LeeAnne McIlroy Langton: "The Tree of Knowledge"
"The Tree of Knowledge" by LeeAnne McIlroy Langton. Published online by Silver Birch Press, May 21, 2013. © LeeAnne McIlroy Langton. 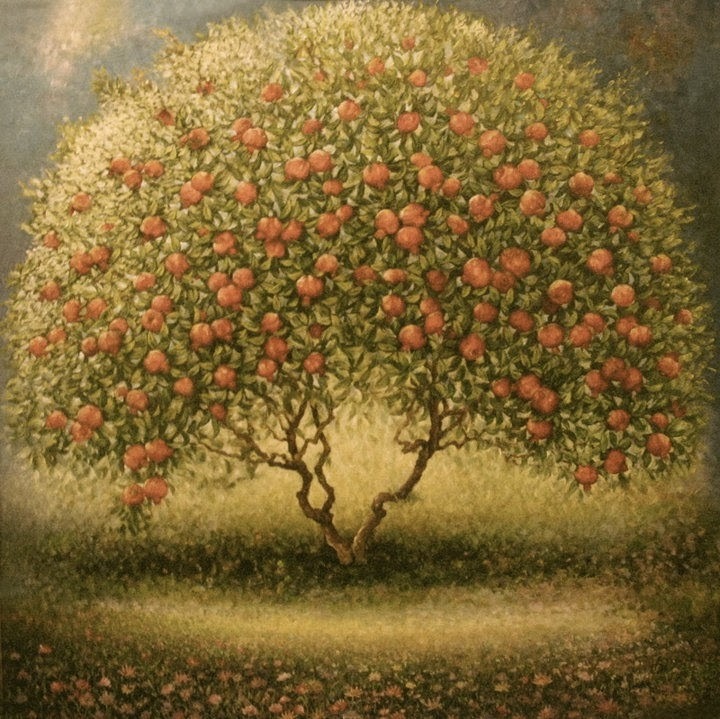 Image credit: "Pomegranate Tree," painting by Marat Margarian (originally color).